Woah! I’ve been a busy bee the past few weeks. May is one of the top 12 busiest months on the farm. Everything is growing daily. Everything is turning green… well, things that are supposed to turn green. The compost piles are starting to heat up too. Such a productive month! 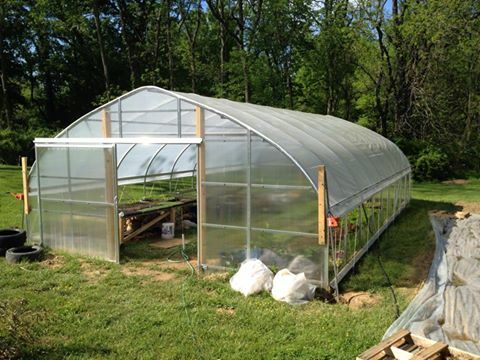 A few quick updates from the farm: Greenhouse is all finished; and the fancy roll up sides are installed and working. 3 fields are tilled, 2 of them are already full of plants. I’m waiting for the grass that was growing in the third to finish breaking down so I can start planting. After a vigorous application period, the farm has hired 36 new employees. See photos. Their qualifications in the departments of weeding, fertilizing, and egg laying made them stand out from all of the other applicants. 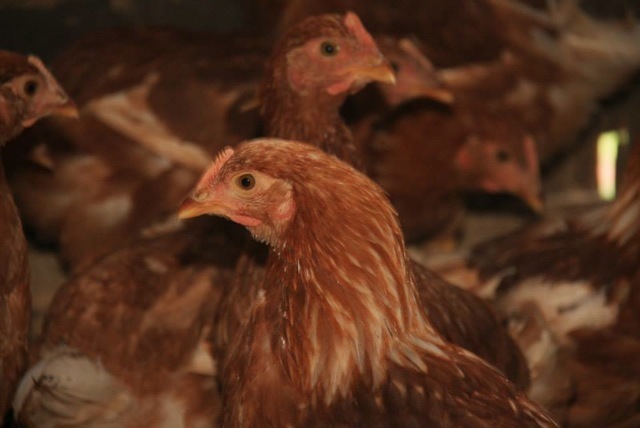 It also helps that they are willing to accept a very modest salary of fresh pasture, water, and non-GMO chicken feed. Egg production starts in a few weeks! Also, you may have heard: PSF has signed on as a vendor at the all new Hampden Farmer’s Market. Come out every Saturday between 9 am and 1 pm at the corner of 36th and Elm. In addition to the veggies we are selling beef from JuJo Acres (PSF’s old home!) In the first two weeks, the market has been tremendous. Stop by and say hi! Finally, the business of setting up the CSA drop offs. We have 6 drop off points: Canton, Mt. Vernon, Mt. Washington, Homeland, Cockeysville, and Hampden. The deliveries for everything but Hampden will be Wednesdays. The shares will be available from 4 to 8 pm at each location. The Hampden drop off will occur during the aforementioned farmer’s market. I think everybody knows their pick up sites, but I’ll send out group emails with the address to confirm. If you opted for the half share that is a full share every other week, your delivery will begin next week, on the 4th. Hello Friends of Purple Sol Farm! After a winter of diesel fume detox, personal restoration, and working winter jobs to make money; I’m finally crawling from my hibernation burrow. Both myself and the farm are gearing up for another year of fun in the sun. First and foremost, for whatever reason, I was naive enough to think that the property search might go as planned. The end result is that I did not end up finding a permanent home. However, I have crafted some options for a lease for the coming year in the greater Baltimore area. I plan make a decision to sign at the dotted line in the next week or so and be in soil shortly after. Next: Purple Sol Farm is looking to grow this year (yall remember that all puns are always intended right?). So, tell your friends, neighbors, family, arch-nemises, or whoever. The more the merrier. And who doesn’t want fresh, local, chemical-free produce? The delivery schedule, and set up, will change this year. I still plan to pack shares, but they will be delivered to communal convenient locations. The areas I plan to deliver to are Cockeysville, Timonium, Towson, Rogers Forge, Homeland, Hampden, and a downtown location as well. Are there any other places that would be more convenient for YOU? Let me know and I’ll see what I can do. My aim is to not make any customer drive more than 10 minutes to their pick-up location. More information will be available soon. This year we will have three share options. A full share will contain an average of 8-10 items and be delivered once weekly for 25 weeks. There will be two types of half share. You can either opt for a full share every other week (like last year) OR a half of a share every week averaging 5 items. The price will change this year. Full shares are $620 for 25 weeks of produce. A full share every other week (12 weeks of produce) or a half share every week (25 weeks) are both $340. The CSA will run from the week of May 25 to the week of Nov 16 – 25 weeks. So, I know how excited you are right now. As you read, day dreams of robust carrots and hearty greens prance merrily in your head. What do you have to do right now? Just email me to let me know you are interested. I will email out the 2014 CSA agreement form the moment I have a signed lease.